HTC has launched Vive Focus, its first standalone virtual reality headset for the Chinese market, at its Vive Developer Conference in Beijing. The device will offer inside-out six-degree-of-freedom tracking without needing to be attached to a PC or a phone. It contains an AMOLED screen, Qualcomm Snapdragon 835 processor, and uses the Vive Wave VR open platform. News of the launch came as Google’s vice president of virtual and augmented reality, Clay Bavor, confirmed in a Tweet that there will be no “Daydream standalone [headset] from HTC, but we remain great partners”. Google said at its I/O developer conference in May that the first standalone headsets to run using its Daydream VR platform would launch later this year, with HTC Vive and Lenovo each working on devices. According to Bavor the Lenovo standalone headset running Daydream is currently at pre-release, with more details expected soon. HTC announced details of its Vive Wave platform at this week’s developers conference, describing it as an open platform and toolset that will enable easy mobile VR content development and device optimisation for third party partners. Twelve hardware partners planning to integration Vive Wave and the Viveport VR content platform into their future products were named – 360QIKU, Baofengmojing, Coocaa, EmdoorVR, Idealens, iQIYI, Juhaokan, Nubia, Pico, Pimax, Quanta and Thundercomm. 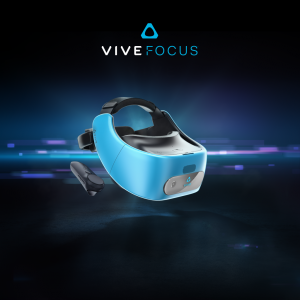 “We’re delighted that the Vive Wave VR open platform is receiving such strong industry support from both hardware partners and developers,” said Alvin Wang Graylin, China regional president of Vive, HTC. “As the VR industry leader in China, it is our duty to help reduce market fragmentation and provide content developers with more ways to make money. Vive Wave will assure a higher consistency in the user experience on a variety of mobile VR devices across various price points, making quality VR more accessible to the mass market.